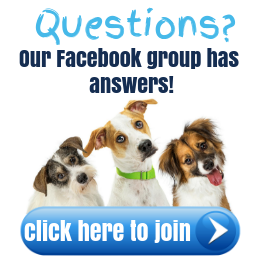 Glucosamine and or Chondroitin – Can My Dog Take Too Much? 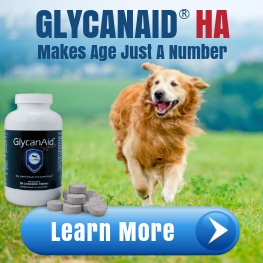 Luckily, while it is possible for your dog to get too much glucosamine and chondroitin for their weight and arthritis needs, it would be quite difficult for them to overdose in a way that seriously affected them. Here’s why. 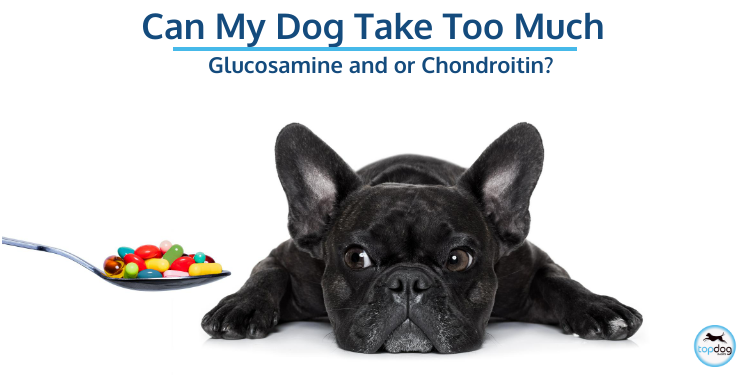 The amount of glucosamine and chondroitin that is right for your dog depends on two things: 1) their weight and 2) the severity of their joint condition. For this reason, it’s important to consult with your veterinarian on how much they recommend daily for your particular pup, and buy supplements accordingly. To make them more appealing to pups, most canine joint supplements come in the form of soft chews flavored in delicious combinations like bacon and cheddar. This can make them seem more like tasty treats than supplements, and if your dog is able to sniff them out, chances are they may eat the whole bottle and experience an overdose. Luckily, glucosamine is more of a food supplement than a drug, so it’s only in very rare cases when a dog consumes extreme amounts of glucosamine that a toxic overdose would occur. Most likely, your dog would experience some vomiting and/or diarrhea, with no lasting side effects. 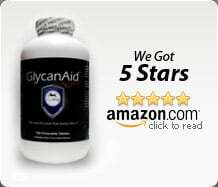 However, if the joint supplement also contained active ingredients like vitamin D or zinc, this can be very serious and warrants an immediate call to your veterinarian. Even if you’re giving the right dosage in supplements to your dog, it’s possible they’re getting additional glucosamine from other sources. For example, some brands of kibble contain glucosamine. While a little bit won’t make much of a difference, too much kibble will not only make them overweight, but could lead to extra glucosamine in their body. Again, the chances of this being dangerous are extremely slim, but it’s important for optimal effectiveness that they receive the correct dosage. 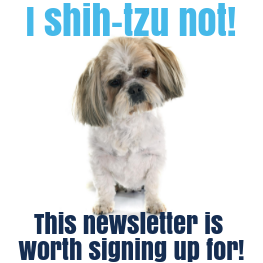 Another possible way your dog could be getting extra glucosamine is from natural food sources. However, you would know if this was the case, as you would be feeding them raw foods such as chicken feet, ox tails, or shellfish shells. These raw foods are great sources of glucosamine that are very easily absorbed by your dog’s body, but it can be tough to provide these foods to your pup every day, which is why most pet parents choose supplements. 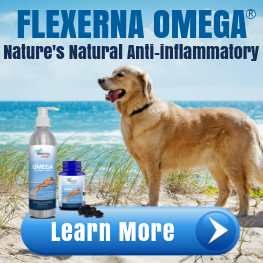 So in essence, it would be quite difficult to give your dog too much glucosamine and/or chondroitin. While it’s important to ensure they’re receiving the correct dosage in their supplements for their weight and needs, the chances of them experiencing a toxic overdose are slim. So rest easy, pet parents.